A fan stirs the room’s thick heat as the officers talk. Jackson wags his legs under the chair and watches his shoes as they swing. The officers speak about beaches. A pathway. Red flags. The story does not make sense. When they finish it, Jackson looks up. The door is open. It frames a stretch of shrivelled lawn and a column of cloudless sky. Colours throb in the heat. ‘Do you understand?’ the woman asks. ‘We are sorry,’ says the man. Blue uniforms cling to their arms. Black caps are perched on their heads. Jackson peers into the caps’ plastic rims, which slide with vague shadows and smears of light. The officers mutter to each other and swap glances with hooded eyes. The breeze through the door is like dog-breath, a damp heat that smells faintly of rot. ‘Where’s my dad?’ asks Jackson. The man’s thumb is hooked through his belt. He stands like a cowboy, hips cocked. They are staying on the side of a mountain, a short but twisting drive away from the nearest coastal town. The hotel is enormous. From a distance it resembles a castle, its high walls strong and stern, its red roofs bright against the mountain’s grey. The valley below is dotted with scrubby bushes and half-finished breezeblock homes. At its centre, a dried-up riverbed runs through copses of stunted trees: a jagged path connecting the hotel to the town. Frank is in the crèche with the other toddlers. They crawl and stumble on the floor, slapping primary-coloured mats with chubby palms. Jackson glances at the sprinkler outside. Threads of water glitter like glass until they shatter and fall. He asks the woman when the children go home. Jackson’s brother is in the far corner, a monkey teddy in his hand. He is wearing his robot pyjamas; his smile makes Jackson smile. Frank smacks a beat on the monkey-doll’s stomach. Thump-thump! ‘The one in the corner,’ says Jackson. The woman smiles at Jackson, briefly narrowing her eyes. ‘He’s very good,’ she says. The swimming pool is white and blue. It hurts Jackson’s eyes to look at it. In the evenings, before dinner, his mother will swim for a while and then relax on a lounger, sunglasses masking her eyes, and read a book while their father plays tennis, goes walking, or naps. Today a strange woman has taken his mother’s lounger. Her legs are bronzed and dimpled, with blue worms squiggling under the skin. Her lips are the colour of cocktail cherries, sticky and red. The man is on a lounger. Gold things shine at his knuckles and neck: he is either a king or a thief. A waiter appears with a tray. On his tray is a bright blue drink in a tall glass shaped like a space rocket. A wedge of pineapple, skewered on a toothpick, glistens in the sun. The woman places her hand on her heart and – ‘Ah!’ – her teeth flash as she gasps. The woman slips the fruit into her mouth. ‘I see,’ the waiter says. Jackson explains about the crèche. When the waiter squats beside him, the muscles on his lower legs bulge. He smells of lemon peel, soap, and sweat. Brothers Jackson and Frank live on the margins of a big urban sprawl. From abandoned tower blocks to gleaming skyscrapers, their city is brutal, beautiful and divided. As anti-government protests erupt across the teeming metropolis, the brothers sail in search of the Red Citadel and its promise of a radical new way of life. 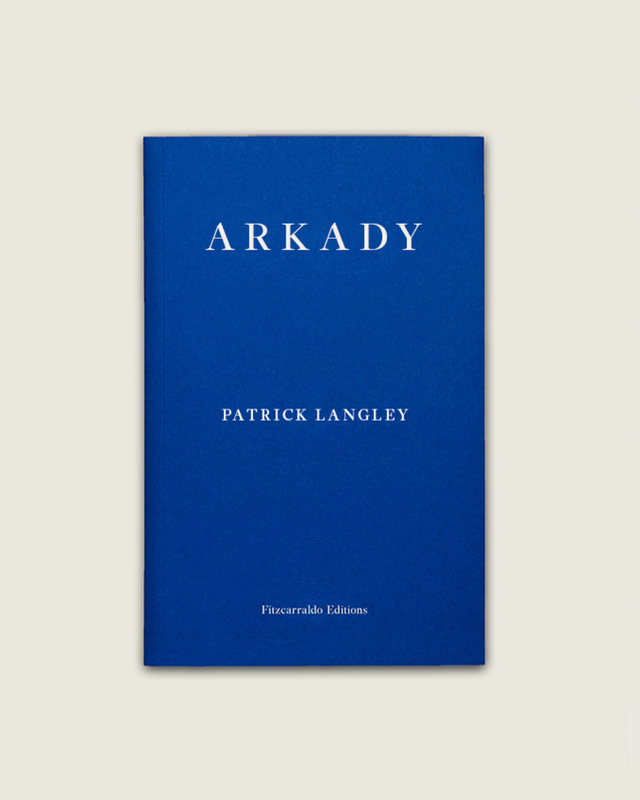 A striking portrait of the precarity of modern urban living, and of the fierce bonds that grow between brothers, Patrick Langley’s debut Arkady is a brilliant coming-of-age novel, as brimming with vitality as the city itself.